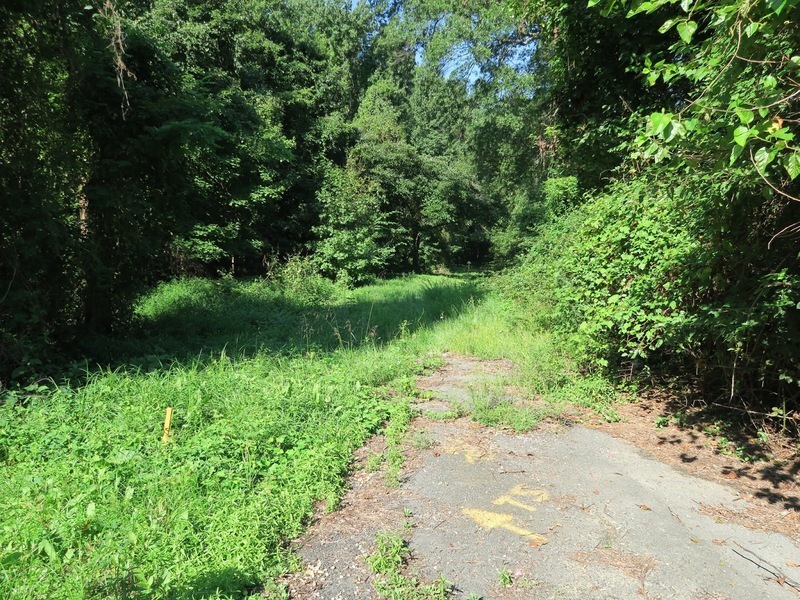 Fairfax County is proposing to remove two key bicycle trails from the Countywide Trails Plan (large pdf) and the Bicycle Master Plan (SE quadrant map). These trails are both located in Huntley Meadows Park and would provide improved pedestrian and bike access to the park and nearby communities. The trail along the south edge of the park would be built along the power line right of way, like the W&OD Trail. 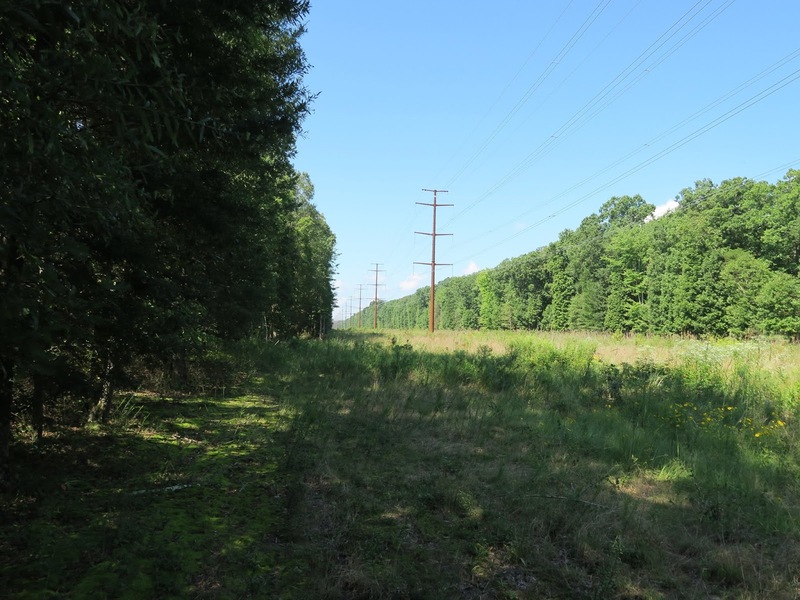 The power company clears the corridor at Huntley Meadows of vegetation every 3 years. The trail along the east edge of the park could have a greater impact on park resources and there may be on-road alternatives for cyclists. The section of trail along the north edge is mostly contained in a Washington Gas utility right of way. 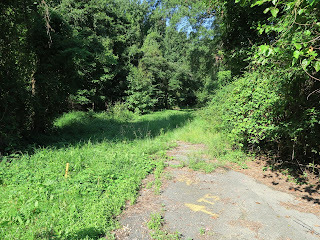 FABB recently visited the park and reviewed the location of the proposed trails. We plan to meet with staff and others to find out more about the proposal and to ensure that bike/ped connectivity is maintained in the area. A group of Huntley Meadows activists opposes the trails and are actively lobbying the County to remove the trails from the two plans. The Fairfax County Planning Commission will be holding a hearing on Thursday, November 29, 2018, 7:30 PM-10:00 PM at the Fairfax Government Center, 12000 Government Center Parkway, Suite 330. Information on the bike plan trail hearing may be viewed here: Information on the Bicycle Master Plan trail hearing and the Trails Planhearing. The proposed Comprehensive Plan amendments are not an appropriate way to address the proposed changes. Changes to trails should be done as part of a comprehensive effort to update the Bicycle Master Plan and Countywide Trails Plan when there can be a more open and transparent process to engage the public. The county plans to revisit and merge these plans next year. That’s the appropriate time to make any changes so they can be made in the context of the need for ped/bike connectivity in the surrounding areas. Claims about potential ecological impacts of the trails to the park cannot be substantiated because there are no design plans to evaluate. None of the designations of the habitat or species in the park requires removal of the trails by either the County or the Commonwealth.